Because speech and language are critical to social development and academic success, children need strong foundations in communication skills. 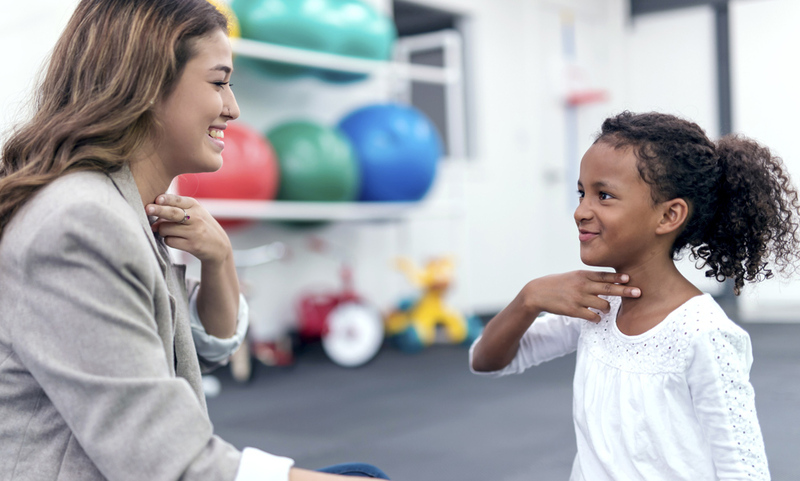 Laughlin Children’s Center’s Speech-Language specialists address the individual needs of children facing communication challenges, offering personalized treatment methods to help them improve their speech production and develop better understanding and verbal expression of language. The Speech-Language Department staff members are licensed by Pennsylvania and also hold certification from ASHA, the American Speech-Language-Hearing Association. They specialize in comprehensive diagnostic evaluations and treatment of children with a wide range of diagnoses. They encourage parents to participate in the progress of their child, with suggestions for in-home practice and support work between on-site therapy sessions. "My sister showed my son a video of him from when he was about 4. When he came home to tell me about it, he said "it must have been before I went to Miss Kelly because I could hardly understand what I was saying." I just thought it was great that he associates being able to talk clearly with his time with you! Thanks again for all your work. We all appreciate it and know it's made a big difference!"